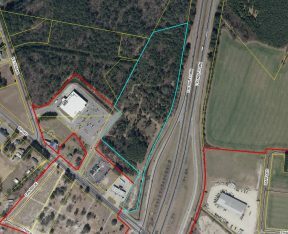 2 (+/-) acres located at the corner of Fisher Road and Lakewood Drive. Approximately 300 feet of road frontage on Fisher Road and 300 feet of road frontage on Lakewood Drive. Located 2 miles from Harris Teeter on Lakewood Drive and Rockfish Road and 1 miles from Gates Four Golf and Country Club.